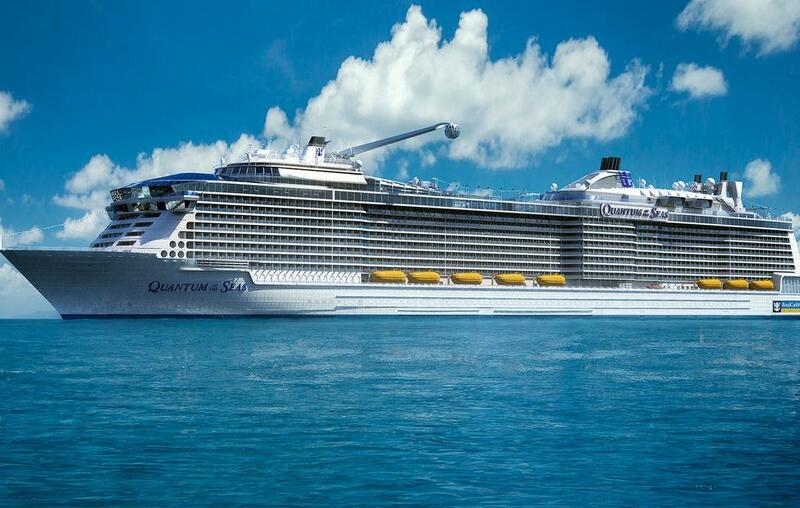 New Royal Caribbean Quantum of the Seas Details! Remember when the idea of surfing on-board a ship seemed crazy? Or a zip-line at sea? Royal Caribbean loves to push the boat out (sorry for the cheap pun) with great new innovations and they haven’t disappointed with the announcement of some more details of the Quantum of the Seas, the first of the new Quantum Class of ships and due to launch in the autumn of 2014, sailing from New Jersey. Two of the major new features will be the North Star and the RipCord by iFly. The North Star is a glass capsule attached to an arm atop the ship that looks like something from the London Eye. It’ll take passengers out over 300 feet above the ocean for a stunning view in all directions. The RipCord by iFly is a glass skydiving wind tunnel, situated on deck and allowing guests to get the thrill of a skydive without having to fly thousands of feet up in a plane. Other ‘first-time-at-sea’ features including the SeaPlex, a large indoor space which will include roller skating and dodgems! One of the most interesting announcements is the virtual balconies in inside staterooms, with large real-time views of the sea as your sail. The Two70˚ lounge will be a huge place to unwind with entertainment space and, most notably, immense floor-to-ceiling windows giving guests a 270 degree view of the sea. Guests will be able to try circus activities, while the Music Hall will host parties and live music from bands and DJs in an intimate setting. Royal Caribbean has also looked at the trends for stateroom bookings and announced that for the first time it will offer studio staterooms for single travellers, along with some three-linking staterooms for multi-generational families. It really looks like Royal have really gone for it in the new design, making sure they’re offering exciting new features to get people interested. Personally I can’t wait to hear more on the build up to the Quantum’s launch next year. Just wait and see what the restaurants will be like!